Skid Steer Rentals in Utah | Wheeler Machinery Co.
A situation may arise in which you need a dependable skid steer at a moment’s notice. An unexpected equipment breakdown can occur at any time, and a sudden spike in business may require you to quickly bolster your equipment fleet to keep up with the demand. If you’re located in a Utah city such as St. George, Vernal, Salt Lake City, West Jordan or South Jordan, a reliable skid loader rental source is right in your neighborhood. 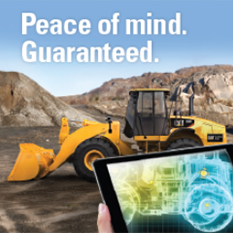 Wheeler Machinery Co. has been a trusted heavy equipment supplier for all of Utah since 1951. Skid Steer Rental Rates: Call 801-974-0511 for pricing or reach out to us online for more information. There’s no disputing the fact that Caterpillar® manufactures the most technologically advanced, hard-working skid steers in the world. The Wheeler Cat Rental Store features a wide selection of late-model, low-hour Cat skid steers in a wide variety of sizes and operating capacities. You can rent a skid steer loader by the day, week, month or year, and we provide a full complement of valuable support services. Rental-purchase options are also available that enable you to take ownership of your machine eventually. Its conventional bucket can haul materials such as dirt, rocks and sand, but when you implement handling, leveling and shaping tools, you can skyrocket the versatility of your engine. Change attachments according to your jobs, as well as the terrain. With many work tool options available to supplement your skid steer, it makes it one of the most valuable pieces of equipment you can have in your fleet. A Cat skid steer rental can support any industry ranging from construction, agriculture, demolition and governmental to mining, power generation and landscaping. You can trench, excavate, clear brush, maintain roads, remove snow, lift equipment and materials, grade, cut trees — the list can go on and on. There isn’t too much a skid steer loader can’t do. Why Rent a Skid Steer Loader vs. Buying? We guarantee we have tested and serviced each component of any Cat skid steer loader for rent from Wheeler to ensure proper performance. Our trained technicians pass through specific inspection points, so you don’t have to worry about mishaps upon arrival. Renting heavy equipment is ideal whether you’re looking to be more economical or are trying to start the foundation of your business. Along with our services in Utah, we also have a branch in Ely, Nevada, to extend our rentals to other surrounding areas. 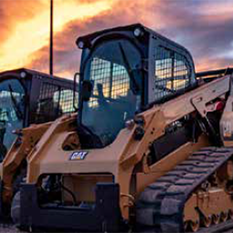 Our goal is to be your go-to skid steer rental in Utah, as well as your source for attachments. We provide low-hour, late-model and well-maintained machines to help you succeed for short-term goals or the long haul. 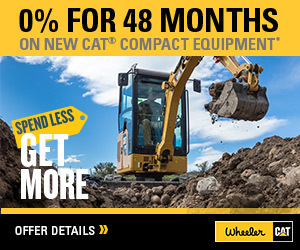 Wheeler Machinery Co. offers flexible terms and delivers machines with the high efficiency and performance you expect from Cat. Renting also helps you control your risks and costs. Built for maximum performance as well as safety, our skid steer loaders offer refined power and hydraulic technology for enhanced versatility, power, efficiency, ergonomics and reliability. You can trust our industry expertise and rely on renting as a smart solution. We also offer equipment delivery or pickup for the utmost convenience. When you need a Cat skid loader for rent, browse our fleet of skid steer loader rental units or contact us online for additional information. You can also reach out to a Wheeler representative by calling 801-974-0511 or request a free quote.